Orlando family attractions range from over the top theme parks, water parks to cool off in and beautiful natural sites. One of the best things to do in Orlando with kids is of course a visit to Disney World. 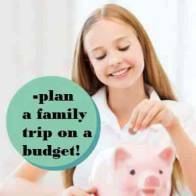 we have great tips on how to save money on your visit. Stay at a an affordable Disney hotel to save big bucks! There are lots of cool evening activities as well such as entertainment shows and mini golf! 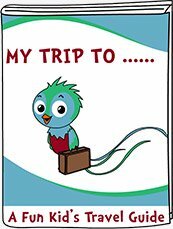 **Make the most of your trip! 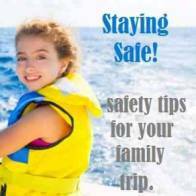 Download the Florida Activity Pack for your kids. 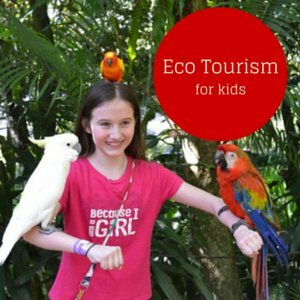 They can learn all about the wildlife, unique foods and culture of Florida through travel games and activities. Fantastic for that never-ending car or airplane ride! 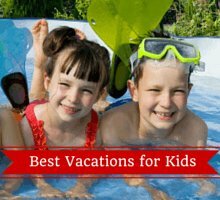 If you are looking for the best Orlando family hotels, we have found the best places to stay with kids. There are enchanting Disney resorts, holiday apartments or cheap hotels for families traveling on a budget. 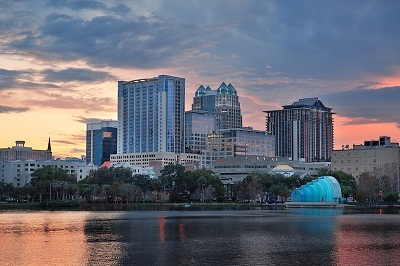 Find an Orlando family hotel here!! 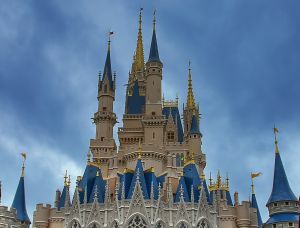 Walt Disney World Magic Kingdom is usually the main event when families visit Orlando, Florida. You can spend days here and not be bored! Start with the character breakfast where you can dine with Mickey, Goofy, Daisy and more. Kids will be overjoyed on the rides such as Its a Small World, the Haunted Mansion and the Country Bear Jamboree. Enjoy one of the shows such as the Finding Nemo musical. Finish the day with the fireworks display! This park is great for toddlers and children under 12 but even teens and adults have a good time at Disney World! This is one of the top Orlando family attractions. Discovery Cove is one of the most interesting things to do in Orlando with kids. They offer all inclusive day packages that include meals & drinks (non alcoholic), snorkeling with exotic fish and rays, hand feeding exotic birds, floating down the river or relaxing on the beach. Mini Golf is one of the best Orlando family attractions. Have a family competition at one of these places. Kids will be challenged by the exciting courses found here including Pirates's Cove with sunken ships and pirate dungeons. Congo River has caves, waterfalls and rainforests to navigate! Tiki Island has volcanoes and waterfall themes. This is one of the many pleasurable things to do in the evenings with teenagers, children and toddlers. Typhoon Lagoon is a Disney water park filled with fun attractions for kids of all ages. Teenagers and children will go for the thrilling waterslides, surf pool and the shark reef where you can swim with sharks, fish and sting rays. For toddlers and small kids there is a special area with water rides, slides just for them, and lots to climb on! Babies will love playing at the sandy white beach area. 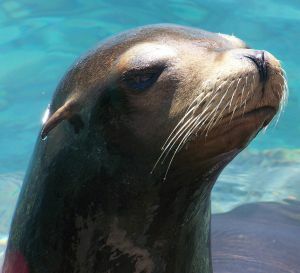 Sea World is a combination theme park with rides, shows and animal encounters and aquariums. Great for kids of all ages. Babies and toddlers will be enchanted seeing the penguins and colorful fish. Children won't want to miss the entertaining shows. Children and teenagers will enjoy the roller coasters and rides. Disney's Animal Kingdom is a combination zoo and theme park. This is one of the fun Orlando family attractions for babies, toddlers and children. They will like the safari tour where they will feel as if they are on the African plains. There are lots of entertaining kiddie rides, shows and a couple thrill rides. Harry P Leu Gardens are lovely botanical gardens. Escape the hectic crowds of Orlando and wander through the paths. There are rose gardens, herb gardens, citrus groves and a butterfly garden. Great inexpensive way to spend a few hours with the kids in Orlando. Rock Spring's State Park is one of the best free Orlando family attractions (ok there is a entrance fee per car load of a few dollara). This park has a beautiful crystal clear spring that creates a natural lazy river! You can purchase tubes to float on at one of the shops on the main road leading up to the park. There are picnic tables and a playground here too! Your future astronauts will be thrilled visiting the John F Kennedy Space Center where they can explore a space shuttle, learn about space expeditions and touch some moon rock. There is an excellent Hubble exhibit, shuttle launch experience and Imax show. There is also a play area for kids. This is a good educational Orlando attraction. 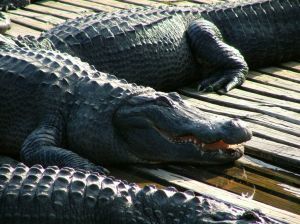 Gatorland is one of the original Orlando family attractions. Florida is known as the home of the alligator, and what better way for your family to learn all about them. Children will enjoy the gator wrestling and jumping shows, feeding the gators (yes you read that correctly!) as well as the birds in the aviary or petting the other animals at the mini zoo. Older kids and teenagers can ride the zip lines! There is also a mini train to ride throughout the park and stroller rentals are available. Epcot is another one of the Disney theme parks. It has a future world with attractions and shows that showcase the latest technological advances. The World Showcase area is filled with pavilions for countries around the world including Mexico, China, France and Morocco. There are awesome attractions, authentic restaurants and performances. This is a great park for children and teenagers. Head to Lake Eola Park when you are Mickey-moused-out and want to get a taste of nature. This park is located in downtown Orlando and has a beautiful lake with water fountain, lots of paths to walk and green areas for your babies and toddlers to play in. There is also a playground for kids and you can rent a swan shaped pedal boat! Pack a picnic lunch and save some bread to feed the swans and ducks. On Sundays there is a fabulous Farmer's Market here. Cirque Du Soleil La Nouba is one of the most amazing things to see in Orlando with your family. Everyone should experience a Cirque du Soleil performance at least once!! The show is the dramatic tale of dreams colliding with nightmares. With fantastic acrobats, colorful costumes and exciting music. It is one of the shows with so much going on you never know quite where to look! Kids of all ages will adore it. Outta Control Dinner Show is an entertaining way to spend the evening in Orlando with kids. The show is part magic and part comedy! Dinner is child friendly pizza, salad, popcorn and drinks! Discount tickets for ages 4-12. We found this was a fabulous way to spend an evening-everyone was happy and relaxed! Beaches are a great cheap Orlando attraction. Closest beaches are about an hour's drive and include Cocoa Beach, the famous Daytona Beach and New Smyrna Beach. Cocoa Beach is the closest one to Orlando. 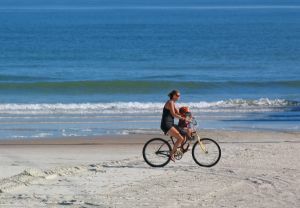 Daytona Beach is 23 miles long and is action packed-great fun for older kids and teenagers here. New Smyrna is a quieter beach area in a charming area. These beaches tend to have lots of waves. If you are looking for a calmer beach then try the West coast beaches about 2 hours drive away. Don't forget to only use biodegradable sunscreen for kids and yourself so you don't damage the reefs! Universal Studios Florida is one of the top Orlando family attractions. It gives you an exciting glimpse into a real working production studio. There are lots of fun attractions including Shrek 4D, Fear Factor Live, Men in Black, Woody Woodpecker's Nuthouse Coaster and the classic Jaws! This is one of the best theme parks for older children and teenagers. There are some rides for younger kids and a Barney and animal show. Universal Islands Of Adventure Park is home to the new Wizarding World of Harry Potter with lots of themed attractions including a thrilling high speed roller coaster chase in the sky! There are many other rides and attractions based on Cat In The Hat, Jurassic Park and Spiderman. Don't miss the action packed stunt show and the special effects show! Blizzard Beach is yet another Disney theme park. It is a water park with a snowy winter theme. Teenagers will thrive trying the exciting water slides including the thrilling Summit Plummet with a 12 story drop! Children will have a blast at the Ski Patrol training camp with cool inner tube slides and the floating iceburg walk! Toddlers and little ones can relax in a special playing area designed just for them. Wonderworks is one of the fully interactive Orlando family attractions. Kids will find the upside down house, 4D movies, laser tag, ropes course (must be 3'6 or taller) and virtual rollercoaster very cool. There are lots of simulations such as an earthquake and hurricane experience which were really interesting.